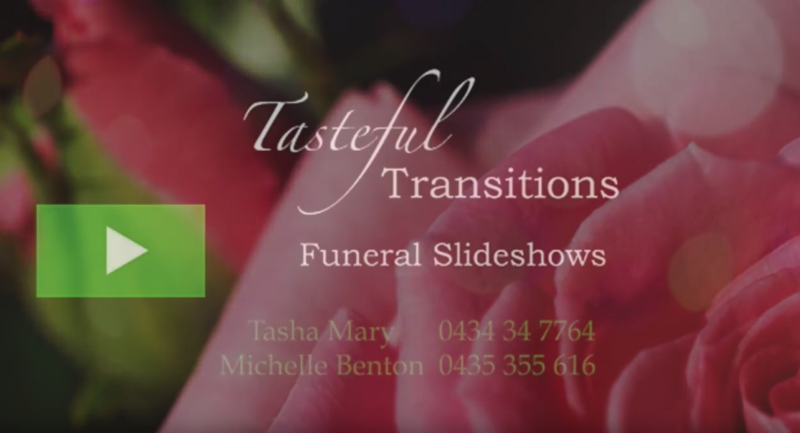 Holy Cross Funerals would like to introduce Tasha Mary and Michelle Benton from Tasteful Transitions. 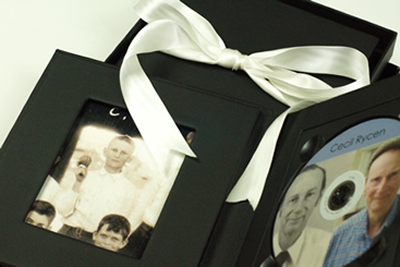 Their passion is working with families to personalise your service for your loved one through Memorial Slideshows and Orders of Service. Their passion was sparked when they attended a service for a friend whose slideshow did not represent the person that was talked about in the eulogy. Families want to be able to give an accurate account of a full and complete life story through your pictures. Tasha and Michelle have the expertise to represent your loved one well and enable you to share it with friends and family. Pictures of your loved one are rephotographed in their studio to focus on your person. This process is used to enhance your existing photos. They work with families discussing your loved one in order to reflect who they were and their passions. The photos are then sequenced with the song you have chosen to create your personal slideshow. The slideshow is hosted on ‘Your Slideshow” page of Tasteful Transitions website that is password protected. Anyone you give the password to can view it and download a copy to their computers. 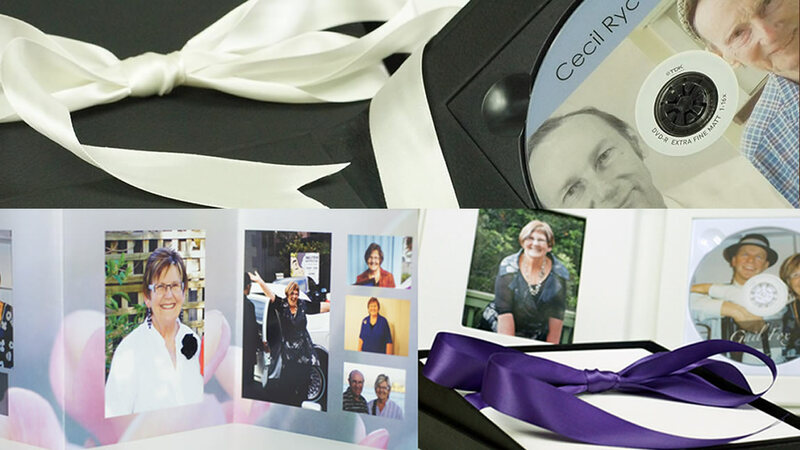 You receive your slideshow on DVD in a black or white leather case as well as copies of all your photos and your slideshow on USB.